Colonial conquest and the more subtle but sustained impact of the modern-day lodestar of scientific and technological progress have pushed indigenous peoples and their cultures to the brink of extinction. Nation states often adopted policies of assimilation and integration, of divide et impera, that left First Nations fundamentally uprooted, marginalized and dispossessed. Still, many indigenous peoples did not vanish; they did not abandon their culture, their inner worlds. Assisted by modern communication technologies, they overcame their cultural and political isolation and joined together to reclaim their essential identity as well as their role on the global stage of decision making. This remarkable comeback has found its most comprehensive expression in the 2007 United Nations Declaration on the Rights of Indigenous Peoples (‘UNDRIP’). Before this milestone of indigenous re-empowerment was achieved, a number of the issues afflicting indigenous peoples had been addressed in the context of individual human rights regimes. This applies to the right to physical survival, social and economic rights, to the extent they are accepted, and the general freedom of religion. The International Covenant on Civil and Political Rights, for example, guarantees the right to life, to privacy and to family. Its monitoring body, the Human Rights Committee, broadly interprets the norm of cultural integrity accorded individual members of ethnic minorities in article 27, including essential rights to lands and resources. The same is true regarding self-government, under the right to self-determination of article 1, reviewed under the State reporting procedure. The United Nations Committee on Economic, Social and Cultural Rights has formulated general comments on the rights to adequate housing, food, water, and health as they pertain to indigenous peoples. The Committee on the Elimination of All Forms of Racial Discrimination has promulgated a general recommendation that expounds upon the States’ duty of non-discrimination against indigenous peoples regarding the protection of their culture, their economic and social development, their effective participation and their rights over lands, territories and resources. State reports are reviewed under these standards, and individual situations monitored under its early warning/urgent action procedure relating to indigenous communities and peoples. The Convention on the Rights of the Child includes express protections of the rights of indigenous children to their own cultures, religions and languages. Reviews of State reports under the Convention against Torture, the Convention on the Elimination of All Forms of Discrimination against Women and the Convention on the Protection of the Rights of All Migrant Workers and Members of Their Families have paid special attention to indigenous persons. The key contribution of indigenous peoples to the cultural diversity of this planet has been recognized in various United Nations Educational, Scientific and Cultural Organization (UNESCO) instruments, including the 2001 Declaration on Cultural Diversity and the 2003 Convention for the Safeguarding of the Intangible Cultural Heritage. Article 8(j) of the Convention on Biological Diversity affirmed indigenous peoples’ rights to their traditional knowledge and has led to continued protective efforts in this forum. The World Intellectual Property Organization also discusses the protection of traditional knowledge and cultural expressions. In 2000, the United Nations Sub-Commission on the Promotion and Protection of Human Rights approved the revised United Nations Draft Principles and Guidelines on the Protection of the Heritage of Indigenous People, suggesting a comprehensive sui generis regime of protection of indigenous heritage. The World Bank Operational Policy and Bank Policy on Indigenous Peoples (OP/BP 4.10) of 2005 continues an early involvement of indigenous peoples in their projects as demonstrated in Operational Directive 4.20 of 17 September 1991. It demands, wherever possible, the active participation of indigenous peoples in the development process itself. On the regional level, the Inter-American Commission and Court of Human Rights have interpreted the American Declaration of the Rights and Duties of Man and the American Convention on Human Rights in ways tailored to the specific needs of indigenous peoples. This includes the right to life, including a dignified communal existence, the right to property over lands, territories and natural resources, the right to consultation and consent, and the right to political participation in accordance with their traditional ways of life. In 2000, the African Commission on Human and Peoples’ Rights established a working group of experts on indigenous populations/communities which submitted its first report in 2005. These were important measures of progress. Arguably missing in the broad-based universal human rights instruments, however, was a specific protection of the distinctive cultural and group identity of indigenous peoples as well as the spatial and political dimension of that identity, their ways of life. The clearest example of the "general human rights gap" in the global instruments, not the Inter-American, may be the lack of a legal guarantee to indigenous peoples, as communities, to their traditional lands with which they have deep, often spiritual ties. Other such distinctive claims are those for the return of sacred remains, artifacts and sites, and their demand of governments to honor treaty obligations. Focusing on many of these communal needs and aspirations, in 1989, the International Labor Organization (ILO) promulgated the Convention Concerning Indigenous and Tribal Peoples in Independent Countries (ILO Convention No. 169). This treaty has played an important role in identifying and codifying the rights of indigenous peoples. Although Convention No. 169 does not explicitly use the term ”self-determination,” it ensures indigenous peoples’ control over their status, lands, internal structures, and environmental security, and it guarantees indigenous peoples’ rights to ownership and possession of the total environment they occupy or use. As of 16 July 2009, it has been ratified by only 20 countries, but this number includes virtually all of the Latin American countries with significant indigenous populations. Still, a global, comprehensive, inclusive and integrated prescriptive effort was needed to listen to and to address all of the concerns of indigenous peoples. The forum for these efforts was the United Nations, and the ultimate result was the 2007 United Nations Declaration on the Rights of Indigenous Peoples. 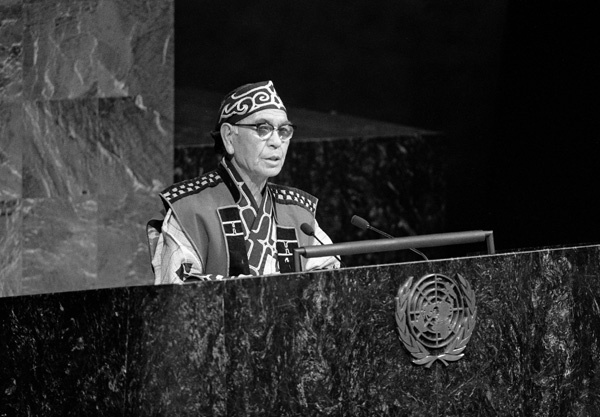 In 1971, as the plight of indigenous peoples had become ever more visible, the United Nations Economic and Social Council appointed a Special Rapporteur, Mr. José Martínez Cobo of Ecuador, to study patterns of discrimination against them around the globe. In 1982, upon receipt of his reports documenting a wide range of human rights issues, the United Nations Sub-Commission on Prevention of Discrimination and Protection of Minorities (‘the Sub-Commission’) appointed a Working Group on Indigenous Populations with the twofold mandate: (1) to review national developments pertaining to the promotion and protection of the human rights and fundamental freedoms of indigenous peoples; and (2) to develop international standards concerning the rights of indigenous peoples. 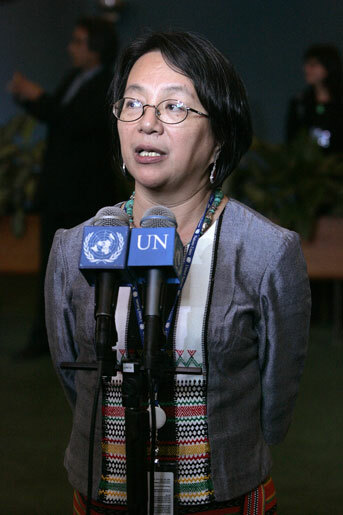 In 1985, under the determined leadership of Chairperson-Rapporteur Mrs. Erica-Irene A. Daes, this Working Group of independent experts began drafting a declaration on the rights of indigenous peoples, taking into account the comments and suggestions of participants in its sessions, particularly representatives of indigenous peoples and Governments. At its eleventh session, in July 1993, the Working Group agreed on a final text for the draft declaration and submitted it to the Sub-Commission. In August 1994, the Sub-Commission adopted the draft declaration and submitted it to the Commission on Human Rights for consideration. In 1995, the Commission on Human Rights appointed a new Working Group, with predominantly Government participation, charged with achieving a consensus on the draft declaration. As the Commission on Human Rights was transformed into the Human Rights Council, the very second act of the Council was to approve the draft declaration by adopting resolution 1/2 of 29 June 2006 by a vote of 30 in favor to 2 against, with 12 abstentions. In doing so, the Council adopted without change a joint draft resolution submitted by Peru based on the final compromise text proposed by the Chairman of the Working Group, Mr. Luis-Enrique Chávez of Peru. 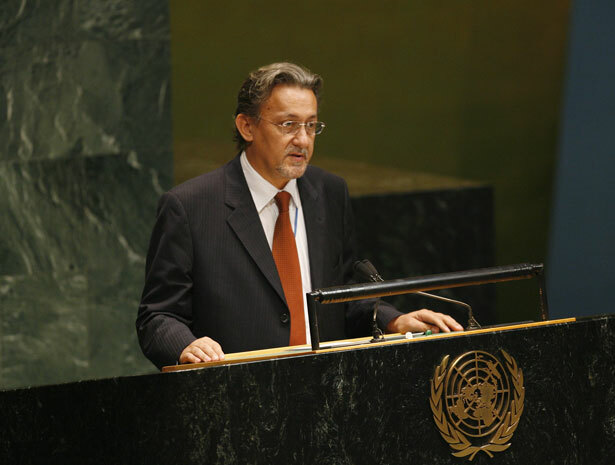 On 28 November 2006, the Third Committee of the General Assembly, by a vote of 82 in favor to 67 against, with 25 abstentions, decided to defer consideration pending further consultations, with a view to taking action on the Declaration before the end of the sixty-first session of the General Assembly, i.e. early September 2007. The last changes were made over the course of 2007 to accommodate primarily some of the demands of the African States which had resulted in the deferral. The final version of the Declaration was adopted on 13 September 2007 by a landslide affirmative vote of 144 States in the General Assembly. 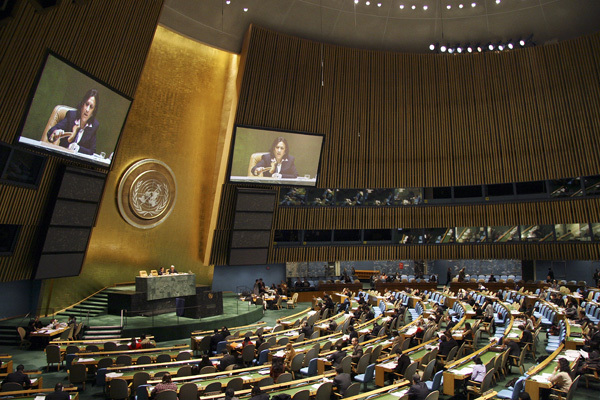 Four countries – the United States, Canada, Australia and New Zealand – voted against it, while eleven – Azerbaijan, Bangladesh, Bhutan, Burundi, Colombia, Georgia, Kenya, Nigeria, Russia, Samoa and Ukraine – abstained. UNDRIP formulates the rights of indigenous peoples to the extent and in the structure and format that the international community of States has recognized them. It constitutes a minimum “standard of achievement to be pursued” (preamble, article 43), but it does not preclude the development of additional rights in the future (article 45). The preamble recognizes indigenous peoples’ essential contribution to the “diversity and richness of civilization and cultures, which constitute the common heritage of mankind.” Even though their situation “varies from region to region and from country to country,” indigenous peoples and persons enjoy all human rights, (articles 1, 17(1)) and they are free and equal to all others (article 2). The essential novelty of this instrument is its recognition of “indispensable” collective rights. Indigenous peoples’ distinctive demands are those to self-determination, the preservation and flourishing of their cultures, and the protection of their rights to their lands. Indigenous peoples generally do not aspire to statehood in the sense of the political independence of players in the Westphalian system of modern nation states. The claim to indigenous sovereignty is primarily founded upon the aspiration to preserve their inherited ways of life, change those traditions as they see necessary, and to make their cultures flourish. This fundamental policy of UNDRIP is reflected in article 5, which states that “[i]ndigenous peoples have the right to maintain and strengthen their distinct political, legal, economic, social and cultural institutions, while retaining their right to participate fully, if they so choose, in the political, economic, social and cultural life of the State” [emphasis added]. The effective protection of indigenous culture is thus key to the understanding of the Declaration. This fundamental goal undergirds, in particular, the novel prohibition of “forced assimilation or destruction of their culture” in article 8(1) intended to protect indigenous peoples in a manner which is wider in scope than the separate prohibition of genocide against them under general international law, as enunciated in article 7(2)). It prohibits their forced removal and relocation (article 10); their right to practice and revitalize their cultural traditions and customs, including the right to maintain, protect and develop past, present and future manifestations of such cultures (article 11); their right to maintain, control, protect and develop their cultural heritage, traditional knowledge and cultural expressions (article 31); and the right to manifest, practice, develop and teach their spiritual and religious traditions, customs and ceremonies as well as the restitution and repatriation of ceremonial objects and human remains (article 12). Article 13 guarantees indigenous peoples the right to “revitalize, use, develop and transmit to future generations their histories, languages, oral traditions [and] philosophies” and obligates States to “take effective measures to ensure that this right is protected.” Indigenous peoples’ languages are central to their cultures—an ever more important issue in view of the accelerating pace of their disappearance. The right to establish and control educational systems and media in their own language and culture also addresses this concern (articles 14, 16). Equally crucial to the effective protection of indigenous peoples’ cultures is the safeguarding of their land. Being “indigenous” means to live within one’s roots. The collective consciousness of indigenous peoples, often expressed in creation stories or similar sacred tales of their origin, places them since time immemorial at the location of their physical existence. More importantly, their beliefs make remaining at that place a compelling dictate of faith. Thus, article 25 emphasizes their “distinctive spiritual relationship” with their lands, and article 26 affirms their “right to the lands, territories and resources which they have traditionally owned, occupied or otherwise used or acquired” (sec. 1); and their “right to own, use, develop and control the lands, territories and resources that they possess by reason of traditional ownership or other traditional occupation or use, as well as those which they have otherwise acquired” (sec. 2). It also mandates that “States shall give legal recognition and protection to these lands, territories and resources. Such recognition shall be conducted with due respect to the customs, traditions and land tenure systems of the indigenous peoples concerned” (sec. 3; see also article 32). Related key guarantees include indigenous peoples’ rights to participate in decision-making in matters which would affect their rights (article 18) and States’ obligations to “consult and cooperate in good faith with the indigenous peoples concerned” to obtain their “free, prior and informed consent” to legislative and administrative decisions that “may affect them” (articles 19, 32(2)). There are also rights to the improvement of their social and economic conditions (articles 17, 21, 22 and 24); rights to development (article 23) and international cooperation (articles 36, 39, 41 and 42); treaty rights (article 37); as well as certain rights to redress and reparations (e.g., articles 8(2), 28). Substantive limits to indigenous peoples’ autonomy, where stated, are formulated in terms of universal standards of human rights (articles 34, 46(2)). According to article 46(3), the provisions of UNDRIP shall be interpreted in accordance with “principles of justice, democracy, respect for human rights, equality, non-discrimination, good governance and good faith.” These principles are intended to serve as an interpretative framework of UNDRIP and not as a substantive limit to its rights. 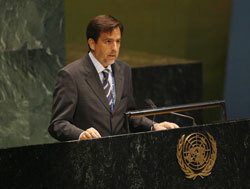 In United Nations practice, a declaration is a “formal and solemn instrument”, resorted to “only in very rare cases relating to matters of major and lasting importance where maximum compliance is expected.” Using that particular instrument creates “a strong expectation that Members of the international community will abide by it” and, “consequently, in so far as the expectation is gradually justified by State practice, a declaration may by custom become recognized as laying down rules binding upon States” (Report of the Commission on Human Rights, E/3616/Rev. l, para. 105). UNDRIP is a solemn, comprehensive and authoritative response of the international community of States to the claims of indigenous peoples, with which maximum compliance is expected. Some of the rights stated therein may already form part of customary international law, others may become the fons et origo of later-emerging customary international law. Scholarly analyses of State practice and opinio juris have concluded that indigenous peoples are entitled to maintain and develop their distinct cultural identity, their spirituality, their language, and their traditional ways of life; that they hold the right to political, economic and social self-determination, including a wide range of autonomy; and that they have a right to the lands they have traditionally owned or otherwise occupied and used. The Declaration calls itself a “standard of achievement to be pursued in a spirit of partnership and mutual respect” (preamble). Article 42 requires the United Nations, its bodies, including the Permanent Forum on Indigenous Issues, and specialized agencies, as well as States to “promote respect for and full application of the provisions of this Declaration and follow up the effectiveness” of it. 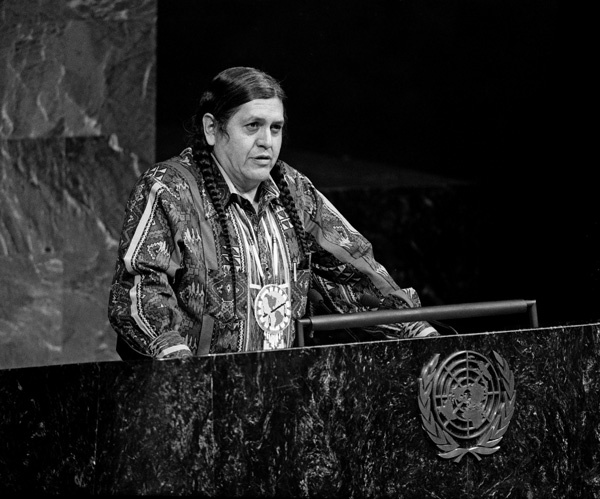 As the UN Special Rapporteur on the situation of human rights and fundamental freedoms of indigenous people, Mr. S. James Anaya, stated in his August 2008 report, UNDRIP thus constitutes “an authoritative common understanding, at the global level, of the minimum content of the rights of indigenous peoples, upon a foundation of various sources of international human rights law .… The principles and rights affirmed in the Declaration constitute or add to the normative frameworks for the activities of United Nations human rights institutions, mechanisms and specialized agencies as they relate to indigenous peoples.” As the Special Rapporteur uses the Declaration as a measure to evaluate State conduct, so will the Office of the High Commissioner for Human Rights, in its annual report on the rights of indigenous peoples, the Permanent Forum on Indigenous Issues, which is focusing on UNDRIP’s implementation, and the Expert Mechanism on the Rights of Indigenous Peoples. The standards of UNDRIP are also being mainstreamed into the policies and programmes of the United Nations and the specialized agencies of the ILO and UNESCO. On the regional level, the Declaration has been referred to by the Inter-American Court of Human Rights in its judgment of 28 November 2007 in Saramaka People v. Suriname – a case in the progeny of the Court’s celebrated Awas Tingni judgment of 31 August 2001 which affirmed the existence of an indigenous people's collective right to its land. The Court in Saramaka referred specifically to article 32(2), the consultation and cooperation requirement in order to obtain indigenous peoples’ free prior and informed consent with respect to any project affecting their lands and resources. Similar arguments and decisions will be made, internationally and domestically, to ensure maximum compliance with the provisions of UNDRIP and the development of best practices under the guiding light of its general regime. International Labour Organization Convention (No. 169) concerning Indigenous and Tribal Peoples in Independent Countries, adopted 27 June 1989. 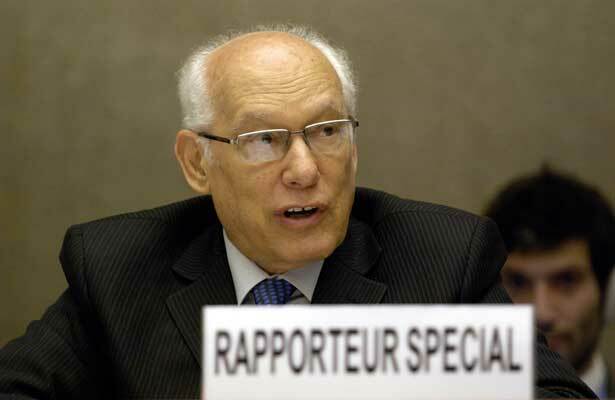 Report of the Special Rapporteur, Mr. José Martínez Cobo, on the problem of discrimination against indigenous populations (E/CN.4/Sub.2/1986/7/Add.4). Report of the Special Rapporteur, Mr. S. James Anaya, on the situation of human rights and fundamental freedoms of indigenous people (A/HRC/9/9). Report of the United Nations High Commissioner for Human Rights on the rights of indigenous peoples (A/HRC/10/51). Pekka Aikio and Martin Scheinin (eds. ), Operationalizing the Right of Indigenous Peoples to Self-Determination, Turku, Åbo Akademi University Institute for Human Rights, 2000. S. James Anaya, Indigenous Peoples in International Law, 2nd ed., Oxford, Oxford University Press, 2004. S. James Anaya and Siegfried Wiessner, “The UN Declaration on the Rights of Indigenous Peoples: Towards Re-empowerment”, JURIST, vol. 3, October, 2007. Erica-Irene A. Daes, Indigenous Peoples. Keepers of our Past – Custodians of Our Future, Copenhagen, International Work Group for Indigenous Affairs, 2008. Federico Lenzerini (ed. ), Reparations for Indigenous Peoples: International and Comparative Perspectives, Oxford, Oxford University Press, 2008. Patrick Thornberry, Indigenous Peoples and Human Rights, Manchester, Manchester University Press, 2002. Nicola Wenzel, Das Spannungsverhältnis zwischen Gruppenschutz und Individualschutz im Völkerrecht, Heidelberg, Springer,2008. Siegfried Wiessner, “Rights and Status of Indigenous Peoples: A Global Comparative and International Legal Analysis”, Harvard Human Rights Journal, vol. 12, 1999, p. 57. Siegfried Wiessner,“Indigenous Sovereignty: A Reassessment in Light of the UN Declaration on the Rights of Indigenous Peoples”, Vanderbilt Journal of Transnational Law, vol. 41, 2008, p. 1141. Alexandra Xanthaki, Indigenous Rights and United Nations Standards, Cambridge, Cambridge University Press, 2007. The issue of the rights of indigenous peoples was first raised in 1970 during the twenty-third session of the Sub-Commission on Prevention of Discrimination and Protection of Minorities, in the context of its basic mandate to make recommendations to the Commission on Human Rights concerning the prevention of discrimination of any kind relating to human rights and fundamental freedoms and the protection of racial, national, religious and linguistic minorities. At its twenty-third session, held from 10 to 28 August 1970, the Sub-Commission adopted resolution 4 B (XXIII) by which it recommended to the Economic and Social Council, through the Commission on Human Rights, that a complete and comprehensive study of the problem of discrimination against indigenous populations be undertaken (see Report of the Sub-Commission, E/CN.4/Sub.2/316). On 21 May 1971, the Economic and Social Council adopted resolution 1589 (L) by which it authorized the Sub-Commission to carry out this study. At its twenty-fourth session, the Sub-Commission accordingly adopted resolution 8 (XXIV) of 18 August 1971 entitled “Complete and comprehensive study of the problem of discrimination against indigenous populations” by which, inter alia, it appointed Mr. José R. Martínez Cobo as Special Rapporteur on the topic (see Report of the Sub-Commission, E/CN.4/Sub.2/323 and Corr.1). 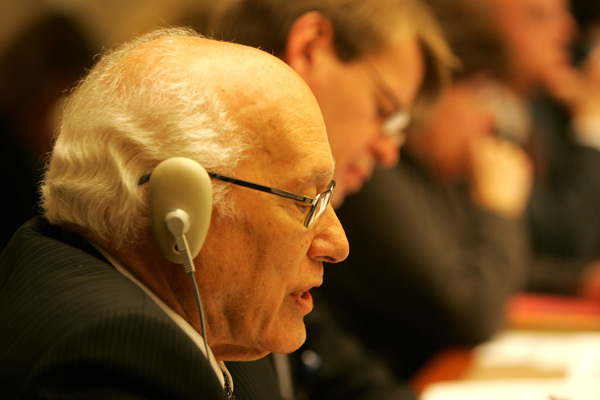 From 1973 to 1983, the Sub-Commission considered the work of the Special Rapporteur. At its thirty-fourth session, it adopted resolution 2 (XXXIV) of 8 September 1981 by which it recommended to the Economic and Social Council that it decide to authorize the Sub-Commission to establish a Working Group on Indigenous Populations in order to review developments pertaining to the promotion and protection of the human rights and fundamental freedoms of indigenous populations. The Sub-Commission further recommended that the Working Group should give special attention to the evolution of standards concerning the rights of indigenous populations, taking account both of the similarities and of the differences in the situations and aspirations of the indigenous populations throughout the world (see Report of the Sub-Commission, E/CN.4/Sub.2/495). On 7 May 1982, the Economic and Social Council adopted resolution 1982/34 to this effect by which it accordingly authorized the Sub-Commission to establish a Working Group on Indigenous Populations. At the first session of the Working Group on Indigenous Populations, held in August 1982, the possibility was raised of drafting one or more declarations on the rights of indigenous peoples (see Report of the Working Group, E/CN.4/Sub.2/1982/33). At its second and third sessions, held in August 1983 and 1984 respectively, the Working Group continued its discussions on the matter (E/CN.4/Sub.2/1983/22 and E/CN.4/Sub.2/1984/20). At its thirty-seventh session, the Sub-Commission adopted resolution 1984/35 B of 30 August 1984 by which, inter alia, having examined the report of the Working Group on its third session, it requested the Working Group to consider, at its next session in 1985, the drafting of a Body of Principles of Indigenous Rights based on national legislation, international instruments and other judicial criteria (see Report of the Sub-Commission, E/CN.4/Sub.2/1984/43). 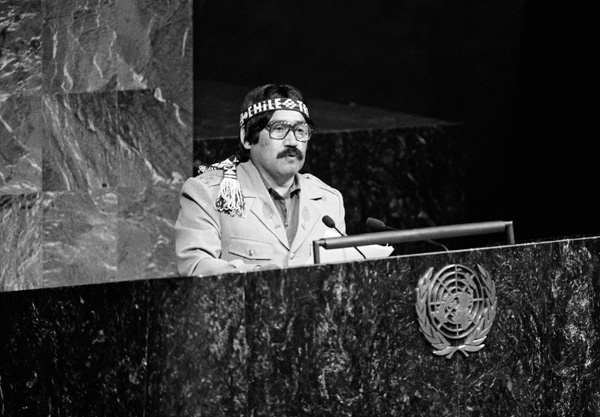 At the fourth session of the Working Group, held from July to August 1985, there was widespread agreement that emphasis should be placed on the elaboration of a body of principles of indigenous rights with the aim of producing a draft declaration which might eventually be proclaimed by the General Assembly (see Report of the Working Group, E/CN.4/Sub.2/1985/22). At its thirty-eighth session, the Sub-Commission adopted resolution 1985/22 of 29 August 1985 by which, having examined the report of the Working Group on its fourth session, it was convinced of the urgent need to promote and protect indigenous rights by means of a continued and comprehensive review of developments in this field, as well as through the evolution of standards, particularly by means of the preparation of a draft declaration of principles on indigenous rights which might eventually be proclaimed by the General Assembly. By the same resolution, the Sub-Commission requested the Working Group, at its next session, to focus its attention on drafting specific proposals for the content and scope of indigenous rights, on the basis of the conclusions, proposals and recommendations contained in the final report of the Special Rapporteur submitted in 1983 (see Final Report of the Special Rapporteur, E/CN.4/Sub.2/1983/21/Add.8; Report of the Sub-Commission, E/CN.4/Sub.2/1985/57). At its fifth to twelfth sessions, held from 1987 to 1994, the Working Group considered in detail the issue of a universal draft declaration on the rights of indigenous peoples and made substantial progress towards agreement on a draft text. At its thirty-ninth session, the Sub-Commission adopted resolution 1987/16 of 2 September 1987 by which, having examined the report of the Working Group on its fifth session (E/CN.4/Sub.2/1987/22 and Add.1), it recommended to the Economic and Social Council, through the Commission on Human Rights, that the Council request the Chairperson-Rapporteur of the Working Group, Mrs. Erica-Irene Daes, to prepare a working paper containing a set of principles and preambular paragraphs for insertion in a universal draft declaration for consideration at the sixth session of the Working Group (see Report of the Sub-Commission, E/CN.4/Sub.2/1987/42 and Corr.1). On 27 May 1988, the Economic and Social Council accordingly adopted resolution 1988/36 to this effect. At the sixth session of the Working Group, held in August 1988, its Chairperson-Rapporteur thus submitted a working paper which contained a preliminary draft declaration on indigenous rights (E/CN.4/Sub.2/1988/25). At the same session, the Working Group discussed the working paper and proposed to the Sub-Commission that it serve as the basis for its continued work towards a universal draft declaration on indigenous rights (see Report of the Working Group, E/CN.4/Sub.2/1988/45). 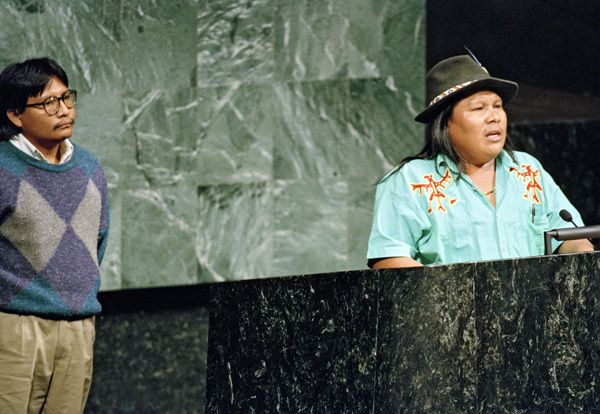 At its fortieth session, the Sub-Commission adopted resolution 1988/18 of 1 September 1988 by which, inter alia, it endorsed the recommendation of the Working Group to adopt the working paper as the framework for the drafting of a declaration on indigenous rights, and requested the Secretary-General to transmit the Working Group’s report on its sixth session to Member States, indigenous peoples, intergovernmental and non-governmental organizations, as soon as possible, for specific comments, observations and proposals for the further elaboration of the draft declaration (see Report of the Sub-Commission, E/CN.4/Sub.2/1988/45). 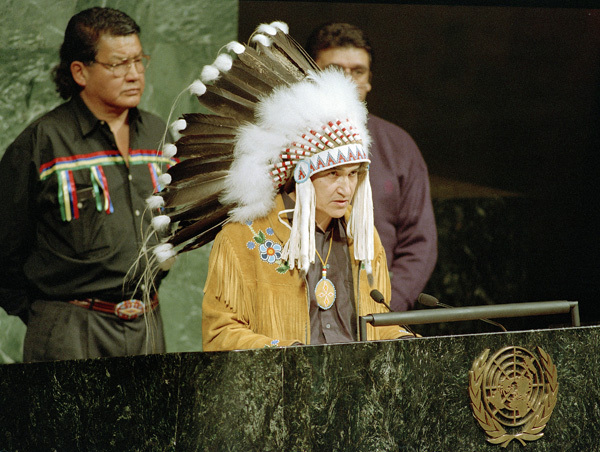 At its seventh to tenth sessions, held from 1989 to 1992, the Working Group considered revised working papers submitted by its Chairperson-Rapporteur, as amended to reflect comments and observations received annually by Member States and other interested parties, and made substantial progress towards agreement on a universal draft declaration on indigenous rights. At its forty-seventh session, following the submission of a joint draft resolution by forty Member States (A/47/L.33), the General Assembly adopted resolution 47/75 of 14 December 1992 under a sub-item of its agenda entitled “Human rights questions” by which it requested inter alia the Commission on Human Rights to ask the Working Group, at its eleventh session, and the Sub-Commission, at its forty-fifth session, to complete their consideration of the draft universal declaration on indigenous rights and submit their report to the Commission on Human Rights for consideration at its fiftieth session. In June 1993, an identical request was made by the international community at the World Conference on Human Rights, held in Vienna, as adopted in the 1993 Vienna Declaration and Programme of Action. In addition, the 1993 Vienna Declaration recommended that the Commission on Human Rights consider the renewal and updating of the mandate of the Working Group upon completion of the drafting of the declaration on indigenous rights (A/CONF.157/23). At its eleventh session, held in July and August 1993, following a request from the Commission on Human Rights at its forty-ninth session (E/1993/23), the Working Group thus agreed on a final text for the draft declaration on indigenous rights and submitted it to the Sub-Commission for further consideration (see Report of the Working Group, E/CN.4/Sub.2/1993/29). At its forty-fifth session, the Sub-Commission adopted resolution 1993/46 of 26 August 1993 by which, having considered the report of the Working Group on its eleventh session, it decided that the draft declaration be entitled “United Nations Declaration on the Rights of Indigenous Peoples”. By the same resolution, the Sub-Commission further decided (i) to postpone consideration of the draft declaration until its forty-sixth session; (ii) to request the Secretary-General to submit the draft declaration, as soon as possible, to the appropriate services within the Centre for Human Rights for its technical revision; (iii) to request the Secretary-General to transmit the technically revised text of the draft declaration to indigenous peoples and organizations, Member States, and intergovernmental and non-governmental organizations; and (iv) to consider the draft declaration at its forty-sixth session and, if possible, to submit it to the Commission on Human Rights with the recommendation that the Commission consider and adopt it at its fifty-first session in 1995, on the understanding that the report of the Working Group on its twelfth session would contain a summary of general views expressed by the participants on the draft declaration (see Report of the Sub-Commission, E/CN.4/Sub.2/1993/45 and Corr.1). At its forty-sixth session, the Sub-Commission adopted resolution 1994/45 of 26 August 1994 by which, having considered the report of the Working Group on its twelfth session (E/CN.4/Sub.2/1994/30 and Corr.1), it decided, inter alia, to adopt the draft declaration on the rights of indigenous peoples, as elaborated by the Working Group and to submit the draft declaration to the Commission on Human Rights at its fifty-first session with the request that it consider the draft declaration as expeditiously as possible (see Report of the Sub-Commission, E/CN.4/Sub.2/1994/56). 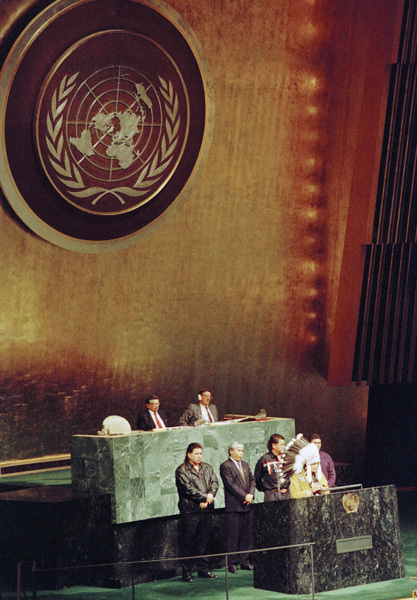 At the forty-ninth session of the General Assembly, following the recommendation of its Third Committee (A/49/613 and Add.1), the Assembly adopted resolution 49/214 of 23 December 1994 under an item of its agenda entitled “Programme of activities of the International Decade of the World’s Indigenous People” by which it encouraged the Commission on Human Rights to consider the draft declaration on indigenous rights with a view to achieving its adoption by the General Assembly within the international decade which would come to an end in 2004 in accordance with General Assembly resolution 48/163 of 21 December 1993. At its fifty-first session, the Commission on Human Rights accordingly adopted resolution 1995/32 of 3 March 1995 by which it welcomed the decision of the Sub-Commission to adopt the draft declaration and decided to recommend to the Economic and Social Council that it authorize the establishment, as a matter of priority, of an open-ended inter-sessional Working Group of the Commission on Human Rights with the sole purpose of elaborating a draft declaration for consideration and adoption by the General Assembly within the international decade. By resolution 1995/32, the Commission on Human Rights also encouraged the Working Group to consider all aspects of the draft declaration, including its scope of application, and submit a progress report to the Commission for consideration at its fifty-second session. Finally, the same resolution requested the Secretary-General to invite Member States, intergovernmental organizations and certain non-governmental organizations to submit comments on the draft declaration submitted by the Sub-Commission for consideration by the Working Group (see Report of the Commission on Human Rights, E/1995/23). On 25 July 1995, the Economic and Social Council adopted resolution 1995/32 to this effect and accordingly authorized the establishment of the Working Group. At its first to tenth annual sessions, held from 1995 to 2004, the Working Group considered in detail the draft declaration submitted by the Sub-Commission and made substantial progress towards general agreement on a final draft text. During that period, the Working Group also submitted annual reports to the Commission on Human Rights, which, in turn, took note of the gradual progress made by the Working Group on a draft declaration under an item of its agenda entitled “Indigenous Issues” (see Reports of the Working Group, E/CN.4/1996/84; E/CN.4/1997/102; E/CN.4/1998/106 and Corr.1; E/CN.4/1999/82; E/CN.4/2000/84; E/CN.4/2001/85; E/CN.4/2002/98; E/CN.4/2003/92 and Add.1; E/CN.4/2004/81 and Add.1; E/CN.4/2005/89 and Add.1-2). 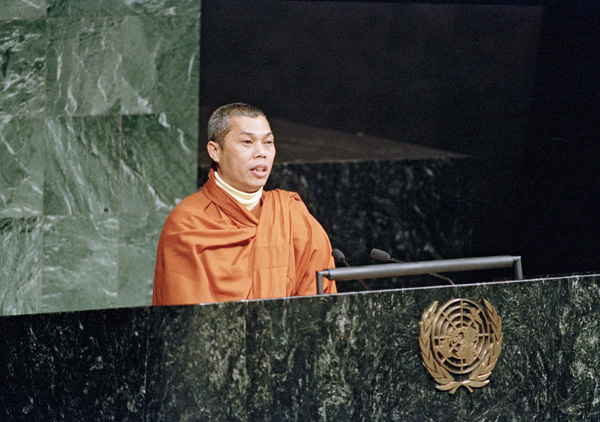 At the fifty-ninth session of the General Assembly, following the recommendation of its Third Committee (A/59/500), the Assembly adopted resolution 59/174 of 20 December 2004 under an item of its agenda entitled “Programme of activities for the International Decade of the World’s Indigenous People” by which it urged inter alia all parties involved in the process of negotiation to do their utmost to carry out successfully the mandate of the Working Group and to present for adoption as soon as possible a final draft United Nations declaration on the rights of indigenous peoples. At its sixty-first session, the Commission on Human Rights adopted resolution 2005/50 of 20 April 2005 to the same effect (see Report of the Commission on Human Rights, E/2005/23). In addition, at its sixtieth session, the General Assembly adopted resolution 60/1 of 16 September 2005 by which it inter alia reiterated the request it had made to the Working Group in resolution 59/174. At its eleventh session, held in December 2005 and from January to February 2006, the Working Group accordingly agreed on a final text for the draft declaration on indigenous rights and submitted it to the Commission on Human Rights for consideration at its sixty-second session (see Report of the Working Group, E/CN.4/2006/79). 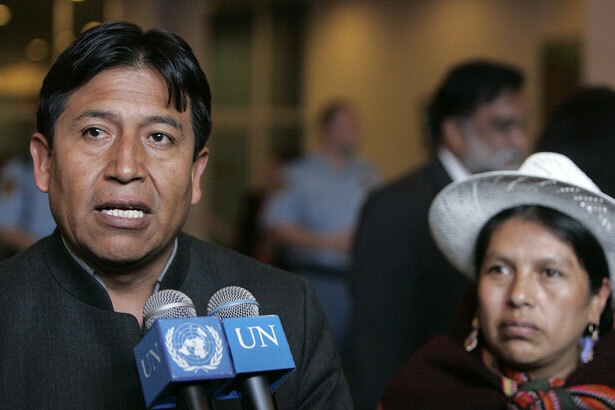 At its first session, following the submission of a joint draft resolution by Peru (A/HRC/1/L.3), the newly established Human Rights Council adopted resolution 1/2 of 29 June 2006 by which, taking note of the report of the Working Group on its eleventh session, it adopted the United Nations Declaration on the Rights of Indigenous Peoples and, in turn, recommended its adoption to the General Assembly (see Report of the Human Rights Council, A/61/53). 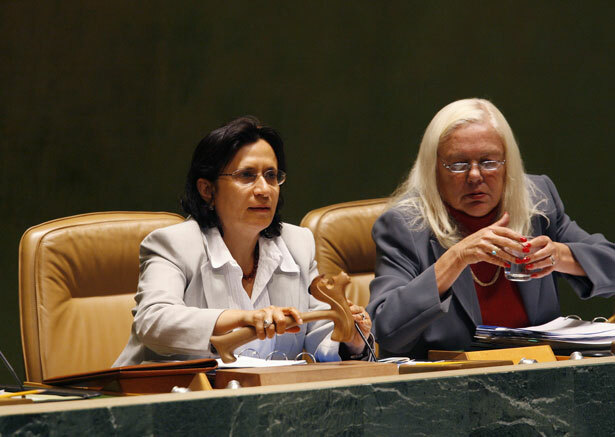 At the sixty-first session of the General Assembly, following the recommendation of its Third Committee (A/61/448), the Assembly adopted resolution 61/178 of 20 December 2006 under an item of its agenda entitled “Report of the Human Rights Council” by which it took note of the recommendation of the Human Rights Council contained in its resolution 1/2 of 29 June 2006 and decided to defer consideration of and action on the draft declaration to allow time for further consultations thereon. By the same resolution, the General Assembly also decided to conclude its consideration of the draft declaration before the end of its sixty-first session. At the same session of the General Assembly, following the submission of a joint draft resolution by nineteen Member States (A/61/L.67), as well as a debate in the plenary on that proposal (see A/61/PV.107-108), the Assembly thus adopted, by 143 votes to 4, with 11 abstentions, resolution 61/295 of 13 September 2007 by which it again took note of the recommendation of the Human Rights Council contained in its resolution 1/2 of 29 June 2006 and adopted the United Nations Declaration on the Rights of Indigenous Peoples.